When you see the hotel from outside, you are immediately drawn to the perforated metal facade. The design is contemporary but the inspiration behind the creation is very much traditional which is the ‘Jalis’ of old Indian palaces. In fact, wherever you go inside the hotel and even in the rooms you can see references to the city’s rich cultural and ‘nawabi’ heritage. It is there in the interiors, the installations, the ceilings, the jewel tones, the furniture, the lighting, in everything. And what is really commendable is that the hotel is certified as a green building having achieved a LEED GOLD certification. The hotel has two lobbies mimicking the entrances at Hyderabad’s old forts. The first is when you enter the hotel and the second, three floors up, is in the reception area. 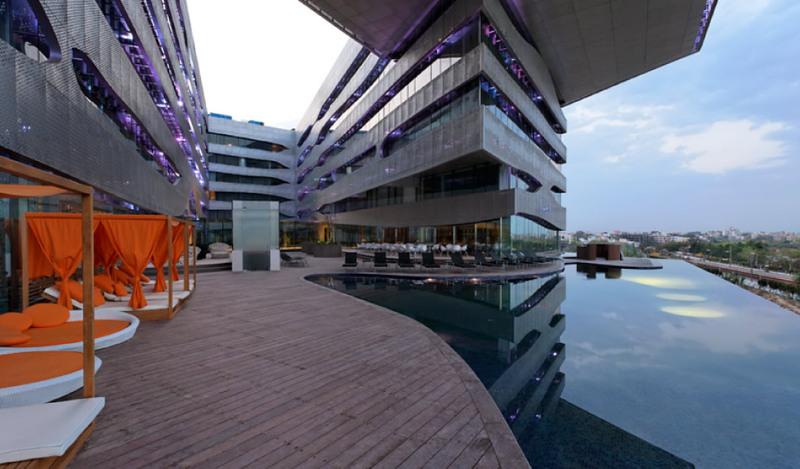 From the reception area lobby you are led to a courtyard with an infinity pool overlooking the Hussain Sagar lake. In the evenings, the courtyard turns into a space for live music. During my stay, I experienced the famous Park hospitality in two rooms – the Panoramic Suite and the Signature Suite. 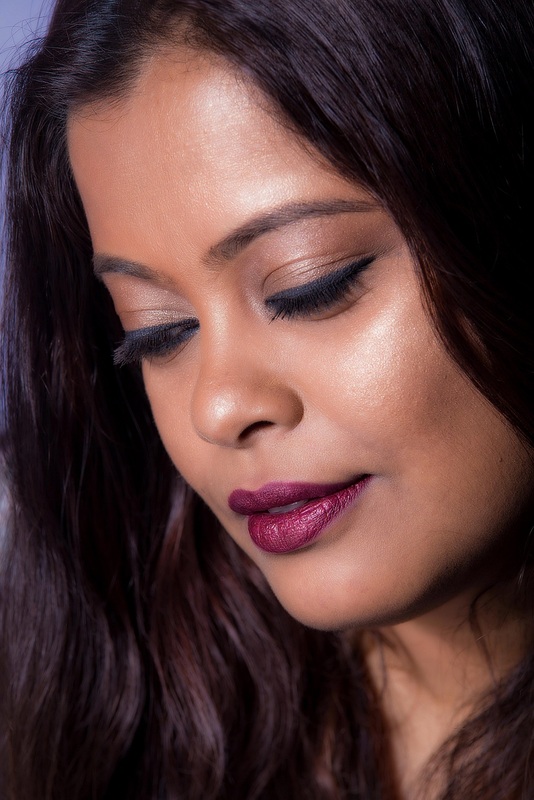 The former made me feel like a modern day princess and in the latter, I felt like a Queen! All the suites have a separate sitting area, work area, and the usual shower, bath tub, safe, mini-bar etc but for me it is always the small details that make a hotel stay enjoyable. From the cute towel doll on the bed to the custom made pillow to the dessert platter on the table, they all combine to make you feel really special. 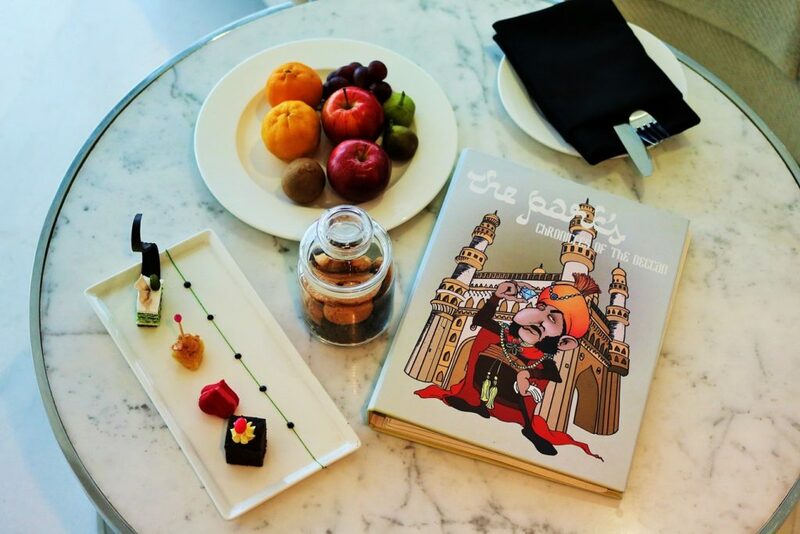 After a long and leisurely bath in the tub, I enjoyed reading The Park’s Chronicles of the Deccan, an illustrated book on Hyderabad with tips on what to see and what to do in the city. Very nice touch! If you follow me on Instagram and if you’ve seen my stories, you must have seen the Signature Suite. My first reaction on entering the room was “This is an apartment, not a hotel room”!!. Yes, the suite is that big and it is the epitome of luxury. Striking a perfect balance between tradition and modernity, everything about the room is so regal. 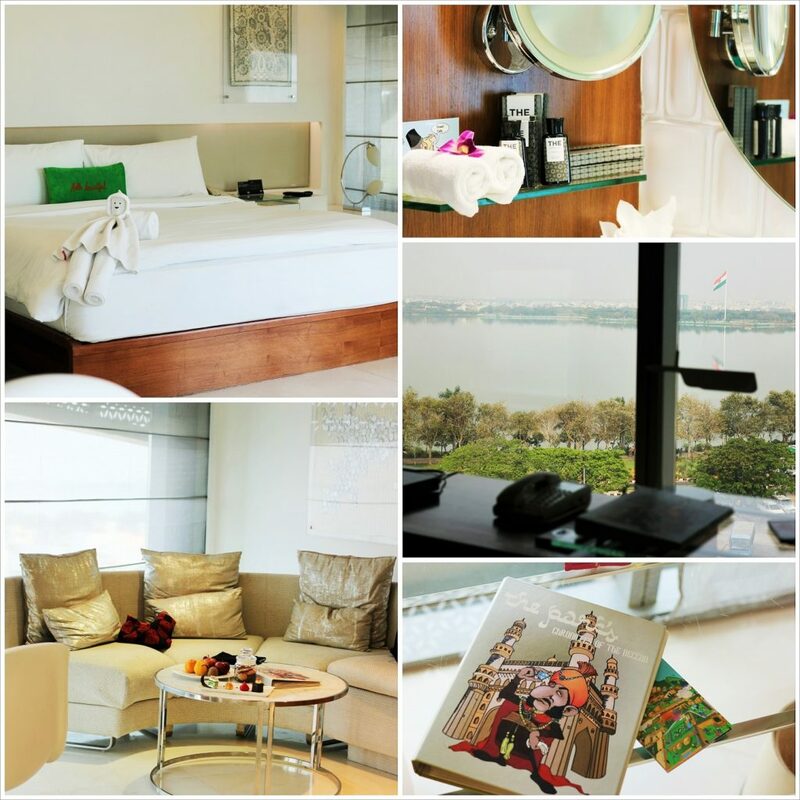 It has three seating areas, a huge four poster bed with chandeliers hanging from both sides, a mirror that must be nearly 100 years old, a bathroom which is as big as a non-fancy hotel room, a mini library with magazines and books on Hyderabad’s history and of course a brilliant view of the lake. If you stay in that room, you will not feel like getting out of it! There are a number of options to eat and drink. Verandah is the 24h diner that takes inspiration from the Indian concept of a verandah in most homes. This is where the buffet meals and the Sunday brunch is served. You can also get excellent Indian, Continental, Italian and Chinese fare here. Traveller’s Tip – Definitely try the Grilled Peri Peri Chicken Breasts with Masala Potato Rissole and Coconut Sauce, Grilled Prawns with Chilli Garlic, Olive Oil, Cucumber and Dill Salad and Belgian Dark Chocolate and Espresso Pave. The Sunday Brunch is an elaborate affair here and again, not to be missed. From grills to chaats to biryani,mandi, kababs, pasta, desserts etc, there’s an incredible amount of food and alcohol. 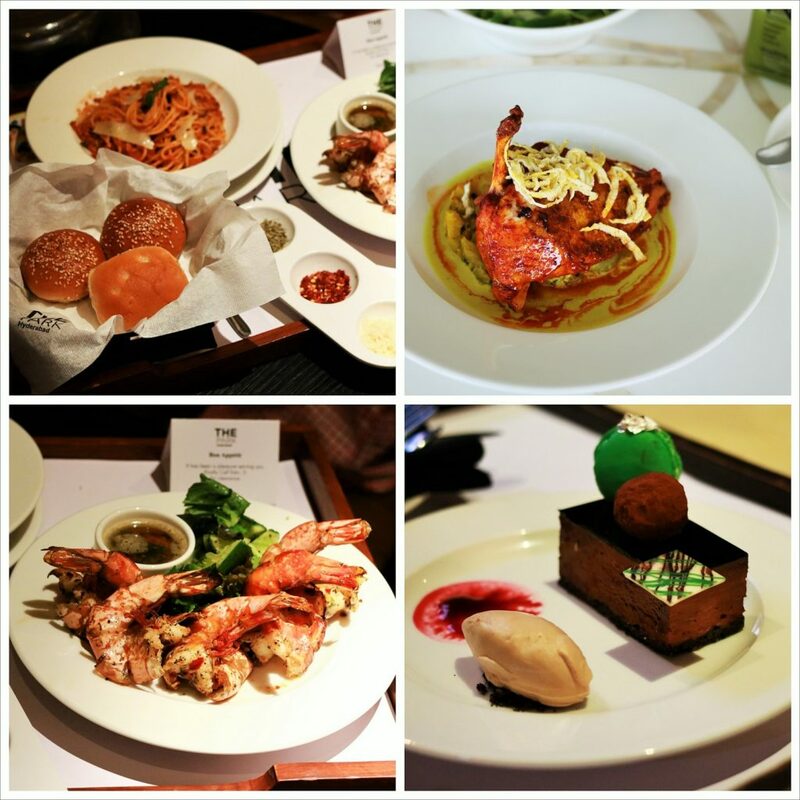 Priced at Rs 999, 1299 and 2000++, the Sunday Brunch offers a great deal. If Hyderabadi cuisine is more your thing, head to Aish, the exclusive Hyderabadi and Andhra cuisine specialty restaurant. 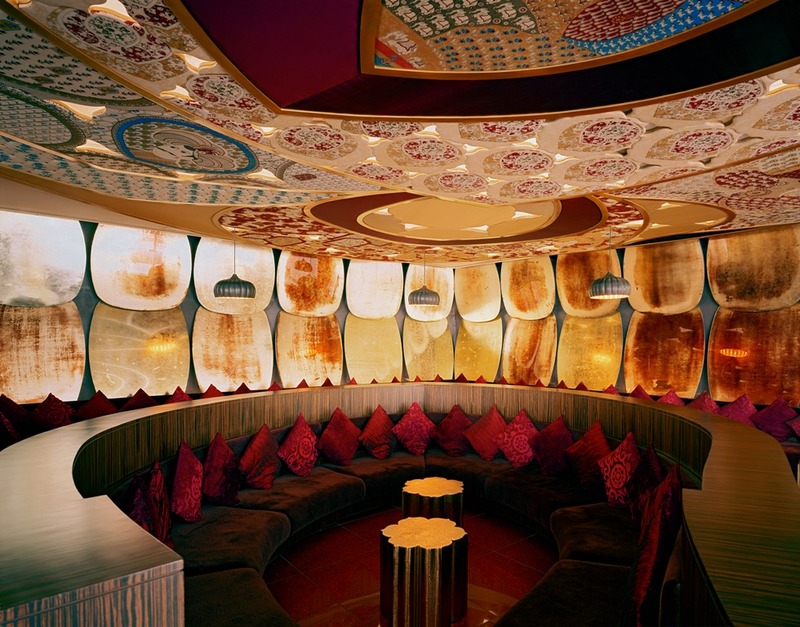 Designed by Tarun Tahiliani, the interiors of Aish pay homage to the Nawabs of Hyderabad. 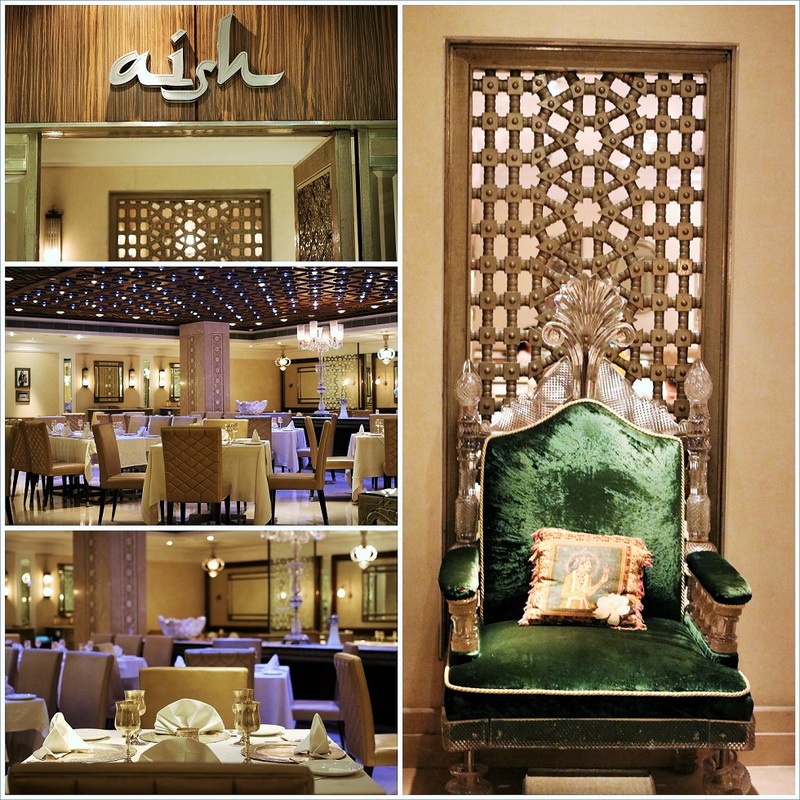 “A play of chrome with Nizams’ pictures and mirrors create a contemporary ambience at Aish. The menu showcases the subtle spice nuances of Hyderabadi gastronomy while also bringing in the robust punch of spicy Andhra fare”. 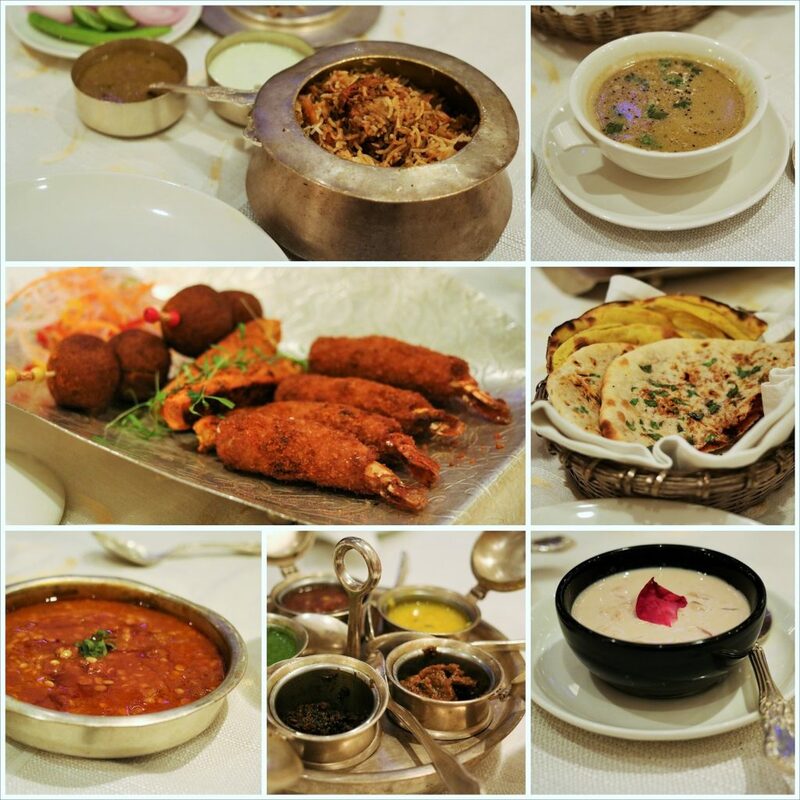 Traveller’s Tip – Instead of Andhra cuisine, go for the Hyderabadi fare here. Start off with a Gud aur Nimbu ka Sharbat and move on to Gosht ka Marag soup, Aish non-veg kabab platter, Chironji ka Dalcha/Nihari Gosht with Akhrot Kulcha, Gosht Biryani and Gulab petal Kheer. Aish serves Haleem throughout the year in both veg and non-veg variants. 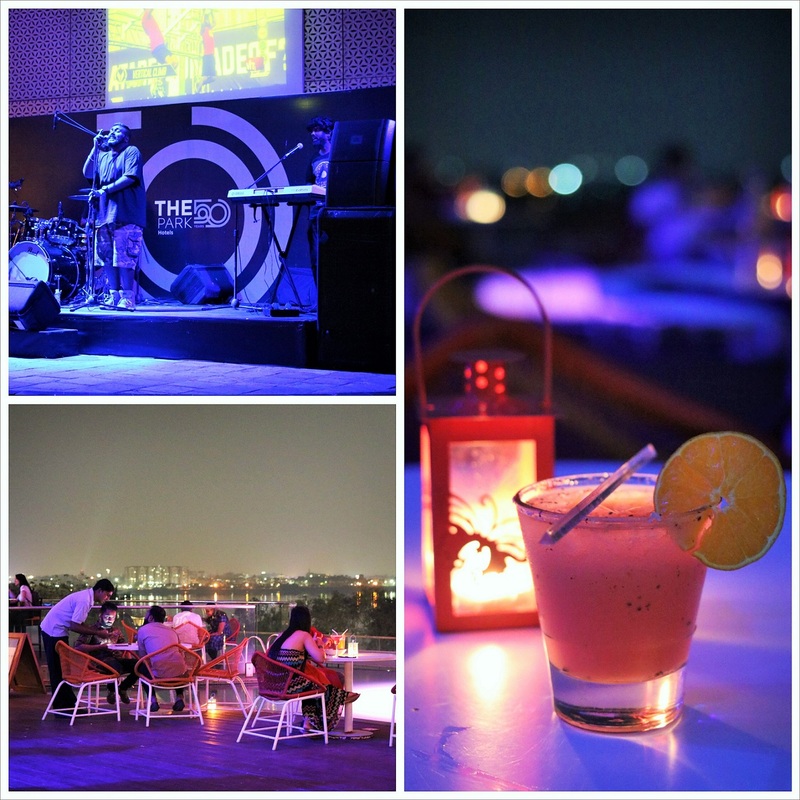 In the evenings, if you want to enjoy live music with drinks and cocktails then Aqua, the poolside alfresco diner overlooking the lake is the place to be. Traveller’s Tip – Aqua’s bartender makes magic with alcohol so definitely try out his special cocktails. Kismet is The Park’s glamorous nightclub but I did not go there so I cannot describe how it is. It is open to both hotel guests and visitors so if you fancy some dancing and drinking, check out Kismet. I am headed back to Hyderabad in a month’s time and I cannot wait to go back to The Park Hotel Hyderabad. I cannot wait to sit by the pool and enjoy the sunset while sipping on a drink, to taste the amazing biryani at Aish and of course the brilliant Sunday brunch. Thank you so much The Park Hotel, Hyderabad for making this one of my most memorable stays ever. 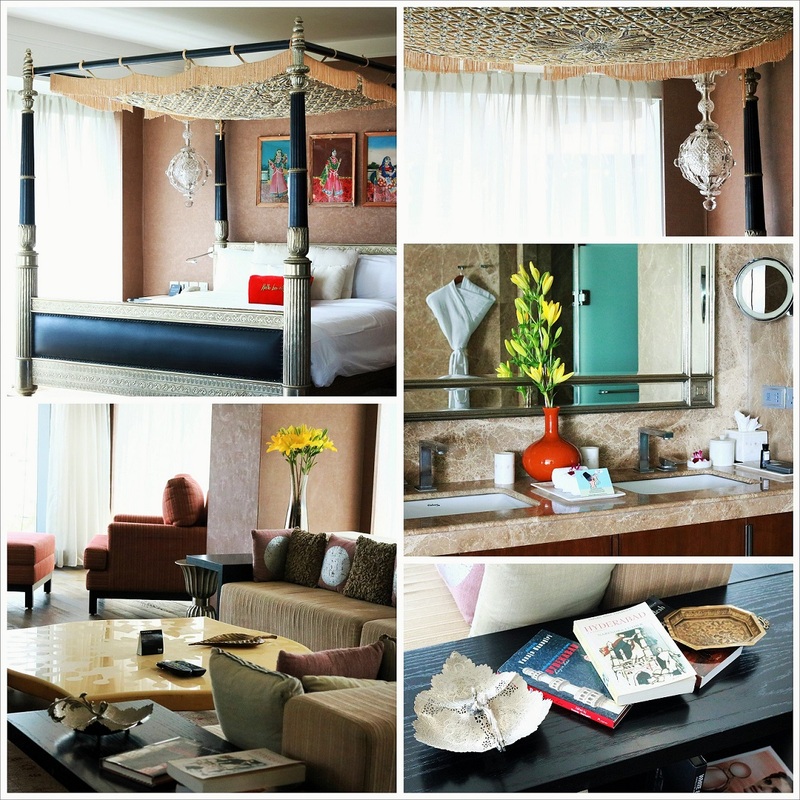 Have you been or stayed at The Park Hotel, Hyderabad? How was your experience? Do share in the comments below. I was invited by The Park Hotel, Hyderabad management to stay at the hotel for review purpose.